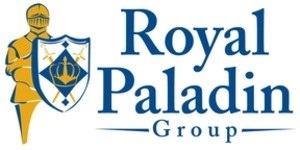 Why did I choose the name of my new firm to be Royal Paladin? Its about being the champion for noble clients. A paladin is a champion of a palace — often known for their heroic deeds and defense of others. Royal, like the Royal Guard, designating the stature of who the paladin champions. The logo has in its elements, first in the foreground, the crown representing the noble Client and their preeminence. The crown sits upon a shield that the paladin uses in defense against all foes. And finally the paladin firmly behind the shield representing the steady strong assistance at the ready. The paladin behind the crown also represents the interests of the Client over the Advisor.